Sometimes you just have to stand still for a minute and give thanks to God for all the great blessings in your life. I am standing in that place right now. My redesign is almost complete. I am in such an amazing place. 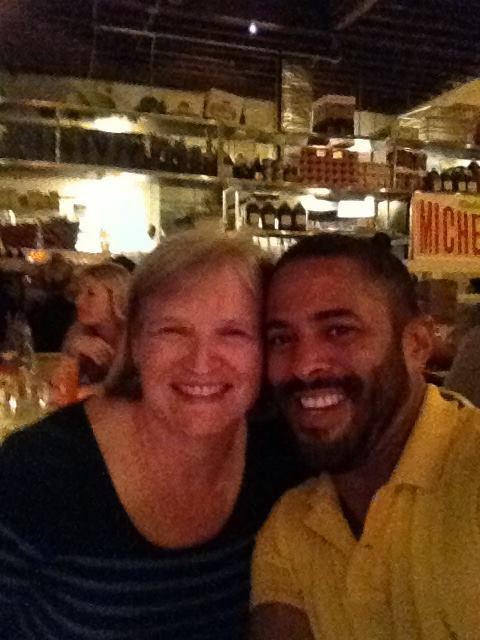 I spent the weekend in New York City visiting my beloved friend Ray. 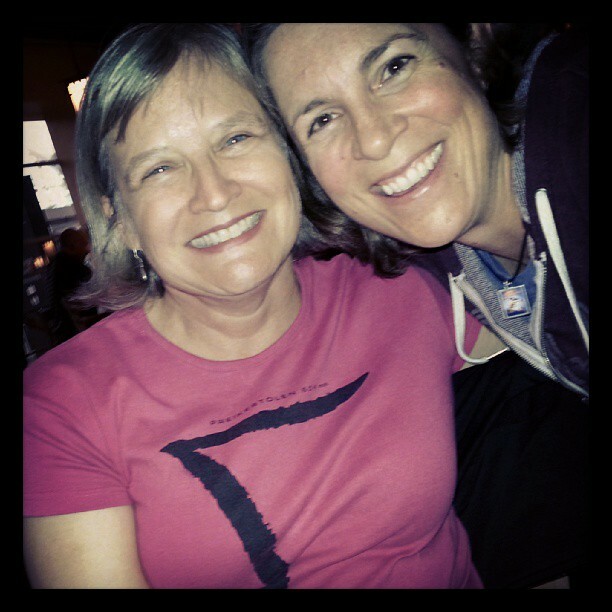 We’ve known each other for 5 years now–since CTI leadership. We connected at the first retreat and we make the effort to stay connected. Being in Ray’s orb is like getting a huge dose of energy and love. And it helped me articulate that it is all good. First of all, my family is healthy and happy. Most importantly, Sarah, Marcos and Tevis are thriving. I love my work and I am well compensated. I have a home I like (although it is not St Heliers). My dog Radar is getting older and I get to enjoy his last days. I have creative outlets including travel and blogs, and travel blogs. Most of all I know that whatever curves are ahead in life, I have friends and a God whose shoulders are so big that it will all be good. One evening in NYC, I went to dinner with Ray and his friends. It was like having dinner at the United Nations. I was the only American: Ray is from Haiti, his friend Daniel and cousin Lisa are from Melbourne, Australia, Yanni is from Greece, Ricardo is from Brazil and Mateo and Sonja are from Germany. I had a great time talking to Lisa and Daniel especially as they have invested a lot of time in various kinds of leadership programs and are very self-aware for their young age. Lisa said something that I did not completely agree with, (something like) “The great thing about investing in leadership development is that it gives you more control over your life.” She feels she is more often in choice and living more intentionally. I understand what she is saying, and what I love about being almost 51 is that I can live with the paradox (and love the paradox) of living intentionally and knowing that I have no control. Control is an illusion. We can develop all sorts of behaviors to give us a sense of control, but it is faux control. I am so at peace with the no control thing. I finally feel like I am beginning to get the hang of what the author of Hebrews meant (Hebrews 11:1): I am sure of what I hope for and I have faith in what I cannot see. God is in control. 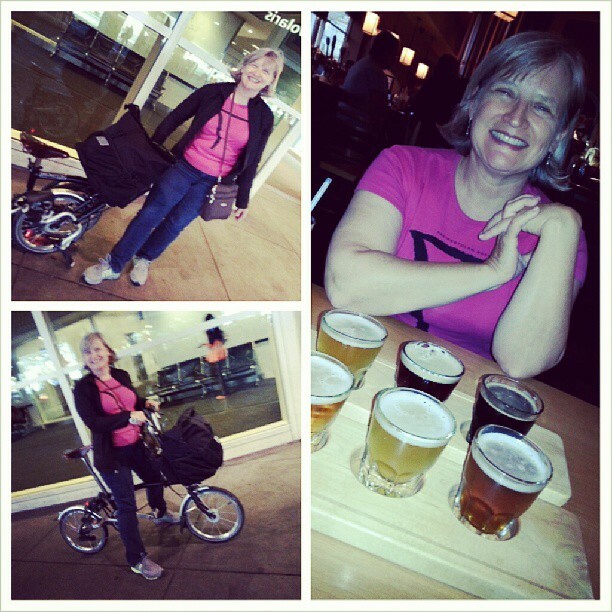 I am the woman who travels with her bicycle! this is lovely! we do not have control but we do have choices. i am happy for you! Julie, it has been a pleasure to follow your blog, it is exciting to see someone who is contented with where they are even as they challenge themselves to grow, change and continue on the journey called life in a way to be enjoyed. You are SO awesome! It is the love you exude for your friends that lifts them / us up and brings joy in sharing your journey. Each day I am overcome with gratitude for this amazing gift of life. It is all good, all busy, all unfolding as it is meant to do. Alex and Erin are spinning their own tales, and I am privileged to watch them parenting with love and commitment. They are no longer my responsibility but still mine to love. Ultimately, I know that it is the only thing–regardless of what we are led to believe.